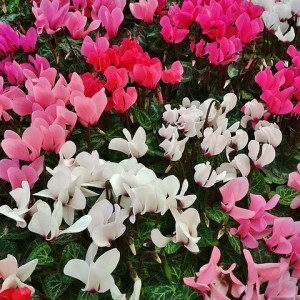 Cyclamen is a sort of perennial grassy plants from the family of Myrsinaceae, uniting 23 forms (other quantities estimate from 15 to 55). It is sometimes attributed to the family of Primulaceae. The scientific Latin name comes from the Greek word "kyklas" ("round"). Garden encyclopedia. Cyclamen flower. Cyclamen cultivation.